I haven't posted about books in over 6 months. I knew it had been a while, but that's still surprising to me. Must do better. I slowed down posting about books before I stopped working at the library back in April. Since changing job I have been reading less, books don't surround me as they once did, but I certainly haven't stopped reading. I got to a point where I had so much to catch up on that it was just easier to stop, plus around June there was a heatwave (by UK standards) and I find it harder to think when I'm too hot. Still it's high time I got back into writing about books. These aren't all the books I've read in the last 6 months, but a selection of my favourites. The end of the year seems like an appropriate time to list things. This YA SF book is about a girl with an autoimmune condition that dramatically impacts her life and a love of history (I may have experienced some fellow feeling). 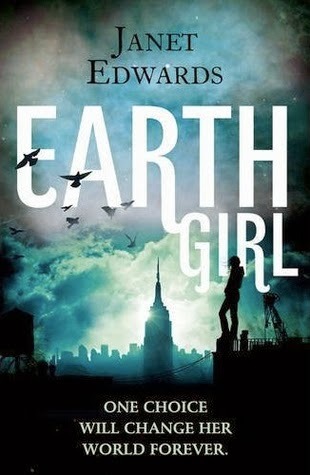 Jarra is smart and stubborn, determined to show the off-worlders she has always resented that those stuck on Earth aren't inferior. There's romance and drama and unexpected twists as well as an interesting vision of the future. 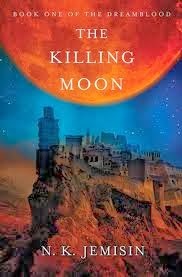 The setting doesn't rely on dystopia for drama, if anything a triumph of the book is that its worldbuilding shows how ordinary life operates in a distant future with advanced tech and different cultures. 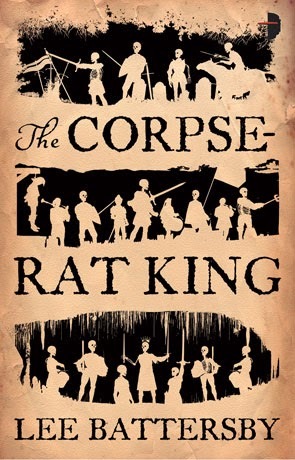 A weird fantasy starring a cynical conman who somehow gets confused with the kind of the dead. Marius's talks his way back to the world of the living by promising to bring the dead a new king, then tries to avoid fulfilling his vow. We get a lot of Marius's backstory, showing both his life and the history of his country. The twists and diversions are strange, unexpected and often comical, meaning that this doesn't feel like a typical fantasy. The 2nd book in the Lescari Revolution trilogy, my review of the 1st is here. This book deals with warfare as the rebels who are trying to rid their land of warring dukes put their plans into action. 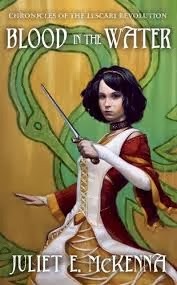 This story shows not only battles and magic but the repercussions that conflict has on those who don't fight. The characters and story are complex, with different viewpoints clashing just as strongly as armies and mercenaries. This non-fiction book explores the role of tricksters in various mythologies and posits what these figures say about humans and society. It was an interesting mix of mythology, anthropology, natural history and psychology. As well as looking at ancient and tribal cultures there was also discussion of how boundaries and creativity work in modern society with focus on variety of figures including artists and abolitionists. 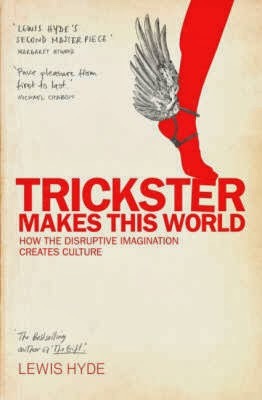 The book wasn't quite what I expected, it was a very broad view of how tricksters fall outside of defined categories and how the spirit of tricksters is important in the creation of human culture. For my birthday (at the end of April) I got a Kindle, so I've started reading ebooks. I still prefer paper books, but I haven't read that many ebooks yet, so I'm still getting used to the interface. I expect I'll read more ebooks in future. This fantasy is set in a world where the goddess of dreams is worshipped and peace must be upheld. The peace is upheld by Gatherers who harvest dream magic. When something dangerous and corrupt is created in secret a senior Gatherer and his apprentice must disrupt go against their vows and training in order to restore order. This is another excellent secondary-world fantasy from the author, whose debut trilogy I really enjoyed. The world is well constructed and has flavours of ancient Egypt but is much more than a copy of an existing culture, the characters are engaging and their viewpoints make sense despite how unusual their culture is. This novella deals with a tough, successful police detective who suddenly find himself confronted by the supernatural. Fighting his bad memories and trying to find a way to do his job in circumstances he doesn't understand DC Robert Blowe has to try and combat killers he can't arrest. This fantasy crime is an inventive story with a hard bitten character who has unexpected depths. Ro is kind of a shaman, living in an uneasy world post-invasion where lazy aliens will eat anyone who comes to close. Her best friend, Simon, recently woke up from a ten year coma, and convinces Ro to go on a road trip to bury his dead cat. Ro also undertakes a spiritual journey that mirrors the ancient myth of a goddess descending to the underworld. Ro is a very engaging character, her telling of the story is full of tangents and quotes and asides. Her messy thinking, changing emotions and flaws make her very easy to like and fun to read about, and the story takes various unexpected twists. 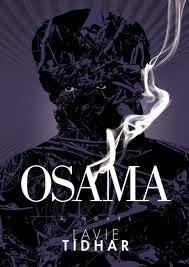 Set in a world where Osama Bin Laden is a character in a cheap, pulpy paperback series. 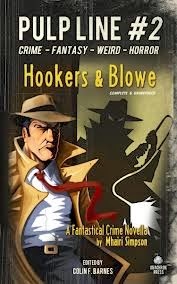 Private detective Joe is asked to track down the reclusive author of the series. Joe travels to cities around the world on the trail. I've enjoyed Lavie Tidhar's short stories and his distinctive style is clear in this novel too. Joe's investigation is interspersed with descriptions of terrorist attacks, fiction in the novel, yet all too real to the reader. Joe travels through a world that is familiar and yet different to our own, encountering people who seem to be somewhere else entirely where fiction is real. The locations are described in an immersive way that really gives the reader a sense of place. This feeling may have been enhanced because I read the book while I was on my first trip outside of the UK in about 4 years, so it was fitting to read a book with so much travel.